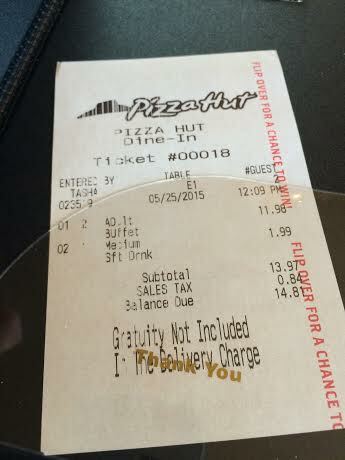 I recently discovered that the Pizza Hut near me offers an all-u-can-eat pizza buffet at lunch. I pass this spot every day and when I saw that sign for the first time, it had me like… Now, you know I love pizza. As a matter of fact, I ate three pounds of it one time. 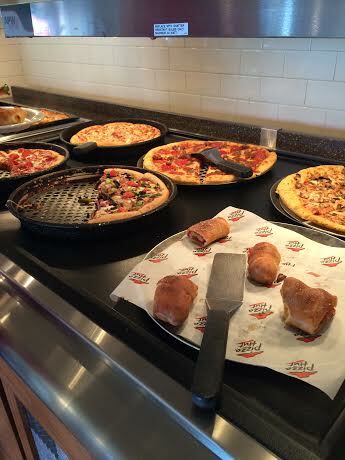 I was intrigued by the idea of endless pizza at lunchtime. 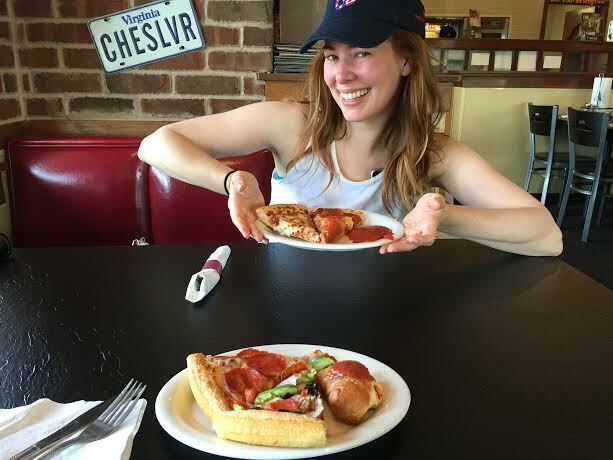 Who are these people who eat all-u-can-eat-pizza for lunch? Plus, I haven’t dined in at a Pizza Hut since elementary school, the days where you could earn a personal pizza by simply reading. That was the life, man. In my quest to partake in this heavenly lunch, I learned that the buffet is only available on week days. In January, I looked up all 2015 federal holidays, then texted my friend Erin (who has accompanied me on other hilarious goal quests) to coordinate the feast. We decided on Memorial Day. What better way to show our patriotism? Please take note of the ridiculousness that of having these plans arranged for nearly half of a year. 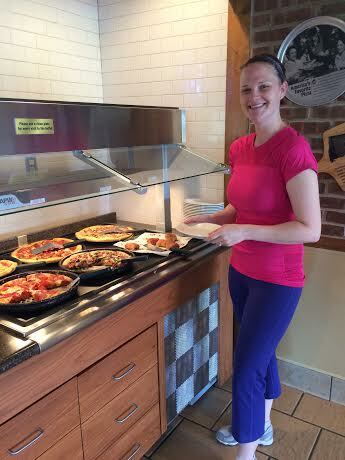 Erin is about to choose her first slice of buffet pizza and looks really happy. I love my friends. Into our first slices, the Backstreet Boys’ “I want it that way” started playing from the restaurant’s speakers. Erin, realizing it was the perfect anthem for our lunch says, “I want it that way… That’s exactly what we got!” We wanted endless pizza and that’s exactly what we got. Dream big, guys. When Erin first sent me the above image, I thought the license plate behind me said “chess lover” and I was like, that doesn’t make any sense. But then I came to my senses (I blame the 5 slices of pizza I had just eaten) and realized it said CHEESE LOVER and laughed for five minutes. God, it’s so perfectly placed, it hurts. If you’re interested in my body count, I had four slices of cheese, one slice of pepperoni, a few nibbles of their overcooked pasta, and a water. Endless pizza (cups the size of a tub) for two for a total of $14.81 (tip not included). Don’t you wish healthy food was just as cheap?!?! I had hoped for a small salad bar to break up the nonstop dough, but was disappointed to find out that the Manassas location does not offer one. As for its clientele, there were a few old couples and families, but if I wanted to do some inconspicuous or criminal activities that require planning and meet-ups, I’d totally do so during lunchtime on a week day at Pizza Hut because NO one is going to find out.